Mickey Rooney, the iconic actor whose prolific career on stage and screen that spanned eight decades, has died at the age of 93 on Sunday. Rooney died Sunday of natural causes at age 93 surrounded by family at his North Hollywood home. He was born Joseph Yule, Jr. on September 23, 1920 in Brooklyn, New York and began his acting career shortly after his first birthday, appearing on vaudeville stages with his parents. Rooney’s career is a who’s who of movies such as Boy’s Town, Babes in Arms, National Velvet, The Bold and the Brave, It’s a Mad, Mad, Mad, Mad World, Bill and of course his role in numerous films as the original Andy Hardy with actress Judy Garland. EIGHT DECADES!!! They do not make them like this anymore. As adept at comedy as drama and an excellent singer and dancer, Rooney was regarded as the consummate entertainer. During a prolific career on stage and screen that spanned eight decades (“I’ve been working all my life, but it seems longer,” he once said), he was nominated for four Academy Awards and received two special Oscars, the Juvenile Award in 1939 (shared with Deanna Durbin) and one in 1983 for his body of work. He also appeared on series and TV and in made for television movies, one of which, “Bill,” the touching story of a mentally challenged man, won him an Emmy. He was Emmy nominated three other times. And for “Sugar Babies,” a musical revue in which he starred with Ann Miller, he was nominated for a Tony in 1980. Both in his professional and personal life Rooney withstood many peaks and valleys. He was married eight times — first and most famously to his MGM co-star Ava Gardner — and filed for bankruptcy in 1962, having gone through the $12 million he had earned. And until middle age, he was never able to quite cast off his popularity as a juvenile. Nonetheless, Rooney’s highs more than compensated for his lows. Via his “Andy Hardy” series of films, the five-foot-three Rooney came to embody the virtues of small-town American boyhood. Those films and a series of musicals in which he co-starred with Judy Garland made him the nation’s biggest box office attraction for three years running. From Hollywood.com – The Tributes pour in for acting icon, Mickey Rooney. Tributes are flooding in from celebrities following the death of Hollywood actor Mickey Rooney on Sunday (06Apr14). The acting veteran, whose career spanned over nine decades, passed away aged 93. His cause of death has not been released. Stars took to their Twitter.com pages to mourn the actor and pay their respects on Sunday. Oscar-winning actress Marlee Matlin wrote, “A lovely man, talented actor & friend, Mickey Rooney has passed at 93. He is with his dear friend Judy Garland putting on shows in heaven”. Star Trek actor William Shatner adds, “My thoughts and prayers go out to the family of Mickey Rooney. Often remembered for Ghostbusters and Ground Hog Day, Ramis dies from vasculitis. He will be missed. R.I.P. It is truly a sad day, one of my favorite actors, writers and directors of all times has passed away … Dr. Egon Spengler, Moe Green, Russell Ziskey … Rest in Peace. Harold Ramis passed away on Monday, February 24, 2014 surrounded by family in his North Shore Chicago home at 12:53 AM. Ramis, best known for his acting, writing and directing roles in such comedy classics as ‘Ghost Busters’, ‘Stripes’, and ‘Caddyshack’, died from complications from autoimmune inflammatory vasculitis, a rare disease that involves swelling of the blood vessels. Tragically, he was only 69. Long before Ramis became a household name in the movie ‘Stripes’ and ‘Ghostbusters’, Harold Ramis was fantastic on SCTV. I think I just dated myself. For those who think SNL was funny and cutting edge, SCTV had it beat by a mile. Not familiar with SCTV, it is the show that launched the comedic genius and careers of John Candy, Eugene Levy, Catherine O’Hara, Rick Moranis, Joe Flaherty, Dave Thomas and of course, the late Harold Ramis. 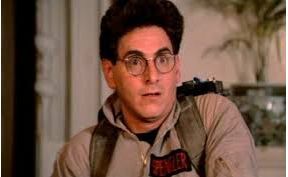 I can honestly say, the world will be a little less funny without him … Harold Ramis, Rest in Peace. Ramis’ serious health struggles began in May 2010 with an infection that led to complications related to the autoimmune disease, his wife said. Ramis had to relearn to walk but suffered a relapse of the vasculitis in late 2011, said Laurel Ward, vice president of development at Ramis’ Ocean Pictures production company. Harold Ramis not only may be the most successful comedy writer-director that Chicago has produced, but some wouldn’t even confine that statement to Chicago. Ramis’ career was still thriving in 1996, with “Groundhog Day” acquiring almost instant classic status upon its 1993 release and 1984′s “Ghostbusters” ranking among the highest-grossing comedies of all time, when he decided to move his family back to the Chicago area, where he grew up and had launched his career. Ramis died Monday morning in his Chicago-area home, the agency said. Harold Ramis’ acting, writing and directing credits. Harold Ramis was a man before his time as he proclaimed in the 1984 movie classic, Ghostbusters … “Print is Dead”. On a personal note, what makes some one like Harold Ramis so brilliant a writer, director and actor is his works are timeless. There are no more movies that are quoted by people in everyday life than Animal House, Caddyshack, Ghostbusters, Stripes, Groundhog Day and Back to School and “that’s the fact Jack”. Another Hollywood and Broadway icon has passed away … Ben Gazzara, Rest in Peace. Ben Gazzara, best known for his collaborations with director John Cassavetes, has died at the age of 81 from pancreatic cancer. As reported by NBC, Gazzara fittingly died the same day that Cassavetes did more than twenty years ago. Gazzara had a 60 year acting career on statge, film and TV. The veteran actor appeared in more than 100 film and TV movies. Gazzara is survived by his third wife Elke Stuckmann, their daughter, and an adopted daughter as well as Gazarra’s brother, Anthony. Ben Gazzara, an intense actor whose long career included playing Brick in the original “Cat on a Hot Tin Roof” on Broadway, roles in influential films by John Cassavetes and work with several generations of top Hollywood directors, died on Friday in Manhattan. He was 81. The cause was pancreatic cancer, his lawyer, Jay Julien, said. Mr. Gazzara lived in Manhattan. How could the New York Times not mentioned ‘Road House’ with Patrick Swayze in their list of movie appearances? IMBb – Ben Gazzara’s film career. Great obit at the LA Times.